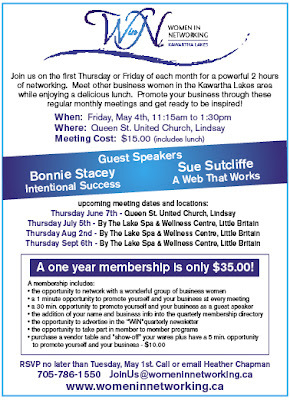 Our August WiN meeting will be held Thursday, August 2nd at By The Lake Spa & Wellness Centre. 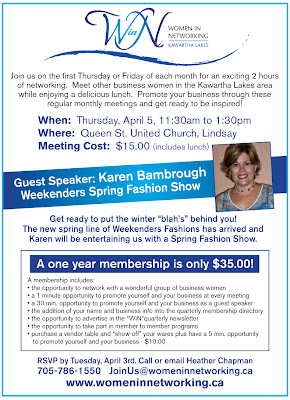 Registration begins at 11:30am, cost is $15.00 for members and $20.00 for guests. One year membership is $35.00. 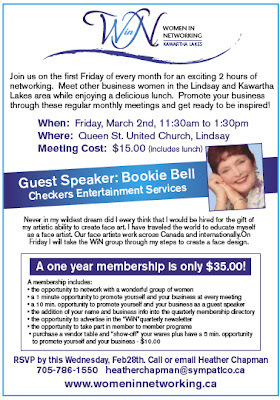 Our guest speaker will be Shellina Ladhani from the Canada-Ontario Business Services Centre. She will be talking to us about Network for Women Entrepreneurs (NWE) which is an Industry Canada program helping to address the needs and issues faced by women entrepreneurs in Ontario. Network for Women Entrepreneurs provides business information (over 1200 documents on their website), FREE learning events and business market research. There is an upcoming NWE event on August 8th in Peterborough, the event is FREE. Please confirm your attendance no later than next Wednesday, August 1st. Register early to avoid disappointment. You can download the registration form by clicking on the above link. The event is listed to the left of the page. 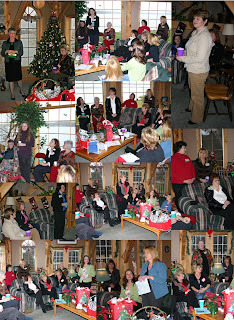 Today's the day that I need to know if you will be joining us this Friday for our Women In Networking meeting. The meeting will run from 11:30am to 1:30pm at the Queen St. United Church (map below). Our guest speaker is Joanne Jehu and she will be discussing personal finances and how we can work towards identifying and achieving our financial goals. Perfect timing for the upcoming RRSP deadline! If your name is not on the list and you would like to come please let me know by the end of day today so that I can confirm lunch with the caterer.